All markets generally take adjustment periods, that is they have their ups and downs. Many of us certainly know this if you’ve been in the stock market the last few years, or even the first week of January 2016. A lot of investors have been sitting on the very edge of their chairs. Well, the Numismatic market and the Numismatic Error Coin Market is no different than any other markets, stocks, real estate, mutual funds, precious metals, etc. They all have adjustment periods. 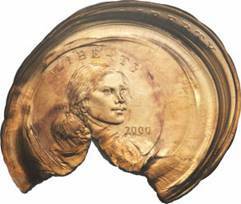 After being in the numismatic error coin market for over 45 years, I can honestly say that numismatic errors have less adjustment periods than those other markets. 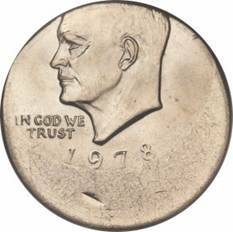 For the most part, numismatic error coins have seen significant steady gains over the past 40 years, with only a few price adjustment periods. We’ve just gone through the last adjustment period this past year (2015), prices have settled and are now starting to rebound. Now is the perfect time to enter the market and reap the rewards. Prices are just starting to move upward again as it appears based on recent auctions. Many more collectors and dealers are getting into the market. New and higher prices are being seen on error coins. Check out the most recent auction prices at the 2016 FUN show, Heritage Auction or Stacks Auctions. So what should you buy? That depends on a few factors; risk factor, what you can afford, what you may collect, long term (5+ years) or short term (2-5 years). That being said, the most important thing is how advanced your knowledge level is in Numismatics. You certainly wouldn’t buy a house without having it thoroughly inspected by professionals. 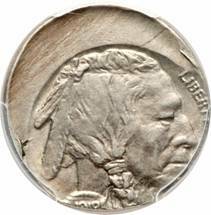 If you new to the markets, your grading skills are not what they should be so find a trustworthy numismatic error coin dealer that deals in certified encapsulated errors such as NGC (Numismatic Guaranty Corporation) or PCGS (Professional Coin Grading Service). There are others, but these are the two I use and believe in, they offer a full refund if it is not what it was supposed to be and stated on the certification label. Just about everything being offered today is priced to buy, from bulk off-center cents, to major errors, all the way to unique (only 1 known) errors. 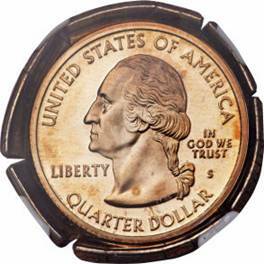 Popular type coin errors are Wheat Cents, Indians Cents, Buffalo Nickels, Barber Dimes, Standing Liberty Quarters, Walking Liberty Half Dollars, Morgan Dollars and Gold Errors. There’s a vast area of different types of errors, some common, some rare. Seek some advice from other collectors and dealers and stay within your risk factor and spending budget. We’ll get more involved with particular types of errors and potential growth in upcoming issues. Stay safe, have fun, get educated! Copyright Ⓒ 2017 minterrornews.com. All rights reserved. Legal notice.